When your business relies on round-the-clock power, how do you protect yourself from blackouts? The storage and processing of milk takes a lot of energy and water – and when agribusiness relies on energy, the last thing farmers need is a power outage. 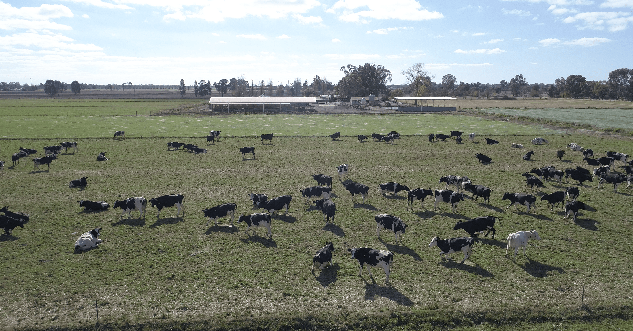 Unfortunately, this was the case for Kevin Minogue from Minogue Dairy Farm in Shepparton. In November 2017, a blackout led to loss of production over a period of 6 weeks when milking was at its peak. To make matters worse, his livestock experienced health issues associated with the inability to milk them. Kevin used the opportunity to rethink how the dairy farm could overcome power outages in the future and decided to look into solar energy. Not only would this provide a battery back-up should an outage occur, it would also provide cost savings to the business over time. After attending a seminar, Kevin reached out to Sustainable Melbourne Fund for advice and support. .After he was comfortable with the project SMF then financed the solar system through the local council. With financial impact to the business his biggest concern, Kevin calculated whether the figures would stack up. The great news is that after installing the new solar system, the farm is 90% self-sufficient and Kevin is feeling confident in the future. No longer will he need to worry about significant disruptions to business operations.